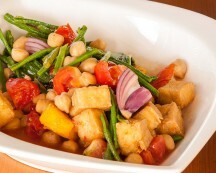 Because of its rich flavor, it is perfect for roasting meat and sautéing vegetables. 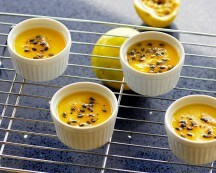 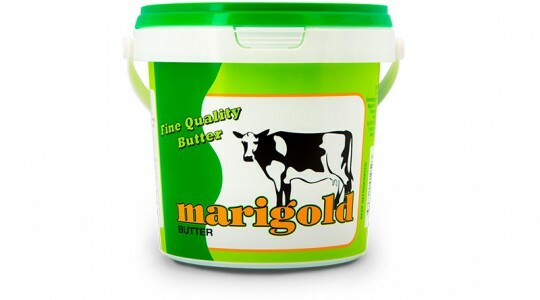 It is also great for baking cake and cookies, and making creamy garlic and herb butters. 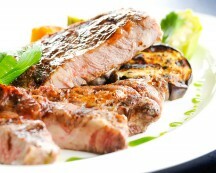 It is easy to use with handy markings of 25 g portions on the packaging. 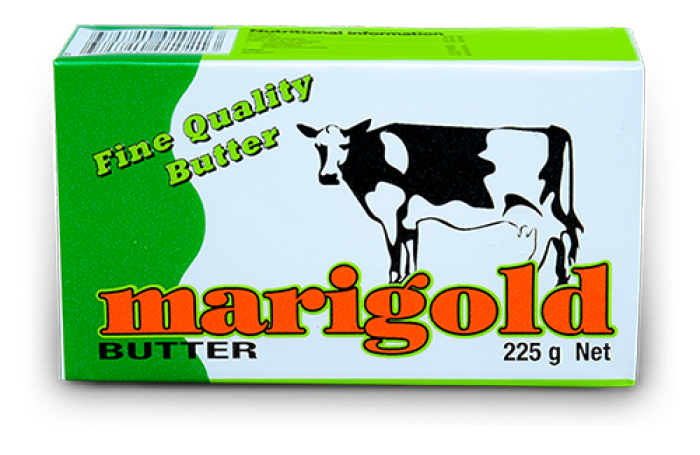 Marigold Butter is available in a wrapper of 225 g.
Marigold Butter is widely known in Suriname for its refined flavor and is essential in any home, restaurant or catering service. 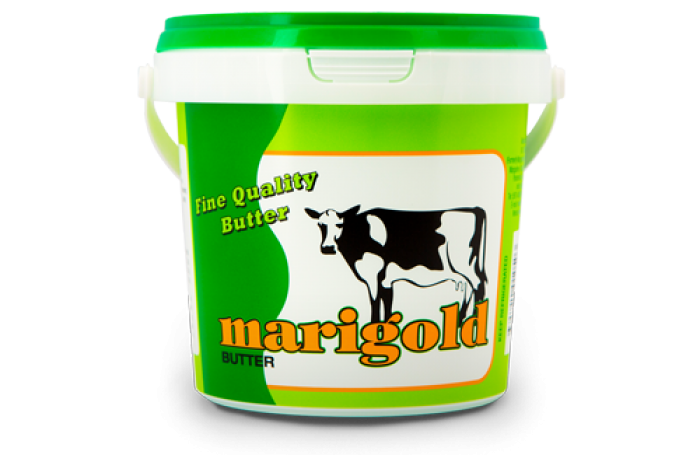 Marigold Butter is available in a handy reusable bucket of 500 g. For the foodservice industry we also make a special bucket of 10 kg. 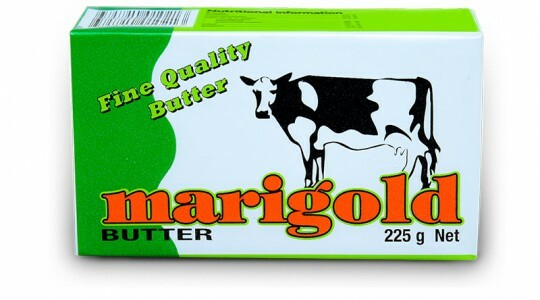 Marigold Butter Spread has the same fine flavor as the original Marigold Butter. 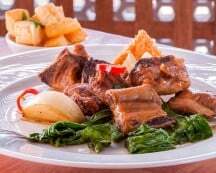 Also, it is enriched with omega-3 and omega-6, essential for the development of the brain, the immune system and regulating blood pressure. 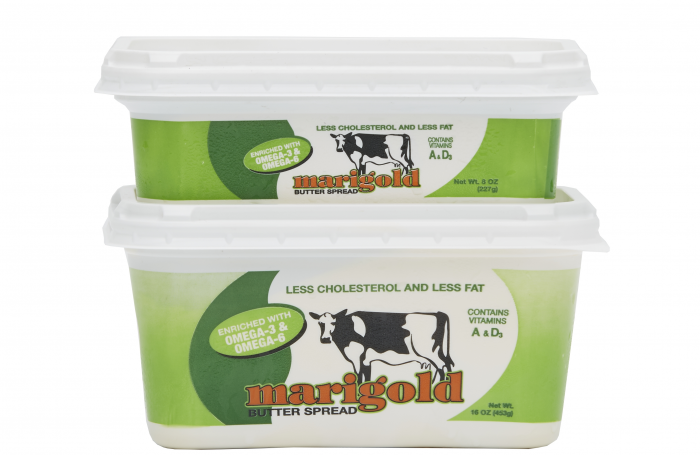 Marigold Butter Spread comes in a handy tub and is spreadable straight from the fridge, so it’s perfect for a quick sandwich. 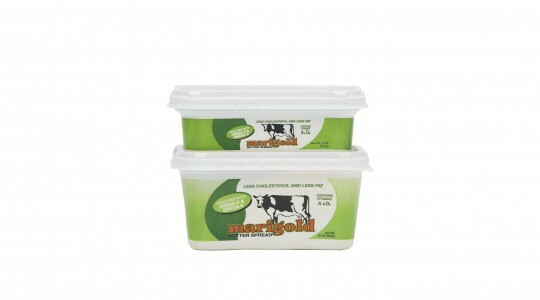 It comes in tubs of 227 g and 453 g.